Ira Heber Kent (I.H.) settled in Churchill County in 1876. Since that time, members of his family have been active in local business and community affairs. In the spring of 1892, Mr. Kent opened his mercantile business in Stillwater, which was the county seat for Churchill County. 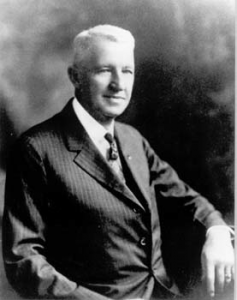 In 1906, Mr. Kent was the county treasurer when the seat was moved to Fallon. Not wanting to be far from his business, Mr. Kent put the store on skids drawn by horses and followed the county records to their new location. The heavy mining and increased agricultural activity in the area helped Mr. Kent build his mercantile business into one of the largest in Nevada. He gave farmers credit for one year and at harvest time the store accepted the farmers’ crops – hay, turkeys, and other products – as payment. 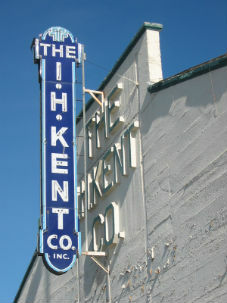 This year Kent’s Supply Center, Inc., formerly known as the I.H. Kent Company, celebrates 125 years of business. Kent’s Supply Center, Inc. continues to be a family owned and operated business. Today Karla Kent operates the business with the same philosophy as her dad Thomas, his dad Ira L., and his dad Ira H: deep roots in the community, commitment to our neighbors and being fair to our customers. The vision for Kent’s Supply Center is to continue our deep rooted traditions of serving our customers as neighbors with the highest level of service and quality products at a competitive price, as well as adapting to the times by utilizing technology suited for our industry. The entire Kent’s Team would like to thank all our customers for the support and friendship shown to Kent’s Supply Center over the years. We look forward to serving our current and new customers into the future with the highest level of service and trust.